We had the privilege this week of visiting with some outstanding Alzheimer’s advocates from Bucknell University in Pennsylvania – the Beta Mu Chapter of the Tau Kappa Epsilon Fraternity. 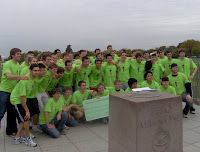 On Columbus Day, these students completed their annual Reagan Run, in honor of Ronald Reagan, one of their more famous brothers. 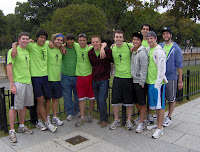 The run took them from the steps of their campus to the front lawn of the White House. For more information on the Ronald Reagan Run for Alzheimer’s click here. They brought with them not only $20,000 for Alzheimer’s research, and the promise of more on the way, but also a commitment to advocacy. They are gathering signatures from their fraternity at this moment in support of the Alzheimer’s Breakthrough Act (S. 1492/H.R. 3286), which we will present to the four Tau Kappa Epsilon brothers who are currently members of Congress. Thanks to Tau Kappa Epsilon for an outstanding example of the vision, enthusiasm and commitment that provide the foundation for every successfully advocacy campaign. 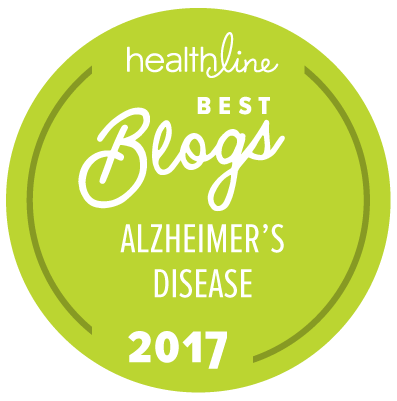 Please take a moment to add your own voice to the campaign for passage of the Alzheimer’s Breakthrough Act by asking your member of Congress to sign on as a cosponsor if you have not done so already.